Hawkshead lies between Coniston Water and Windermere, and at the northern end of Esthwaite water. 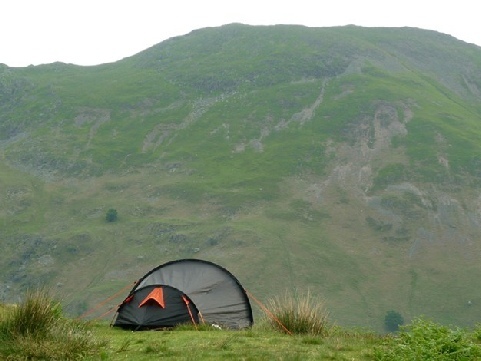 The area around Hawkshead provides a good range of camping and caravan sites as well as a great selection of attractions and things to do. Check out the key information on the right and then explore the Hawkshead camping and caravanning sites listed below. Grizedale Camping Site, Grizedale Forest,Cumbria. 01229 860208. Hawkshead Hall, Hawkshead, near Ambleside, Cumbria. 01539 436221. The Croft Caravan & Camp Site, Hawkshead,Cumbria. 01539 436374. Coniston Hall, Coniston, Cumbria. 015394 41223. Cook Farm, Torver, Coniston, Cumbria. 015394 41453. Hoathwaite Farm, Hoathwaite Farm, Torver, Coniston, Cumbria. Book Online. Park Coppice Caravan Club Site, Coniston,Cumbria. 01539 441555. Fallbarrow Park, Windermere,Cumbria. 015394 44422. Hill of Oaks and Blakeholme Caravan Estate, Windermere, Cumbria. 015395 31578. Limefitt Park, Troutbeck, near Windermere, Cumbria. 015394 32300. White Cross Bay Caravan Park, Windermere,Cumbria. 01539 443937. Windermere Camping, Windermere,Cumbria. 01539 442619. Braithwaite Fold Caravan Club Site, Bowness-on-Windermere,Cumbria. 01539 442177. Lambhowe Caravan Park, Crosthwaite, near Newby Bridge, Cumbria. 01539 568483. Newby Bridge Caravan Park, Newby Bridge,Cumbria. 01539 531030. Hawkshead Joinery from Stephen Dixon Joinery Limited.